This property is subject to a short sale. 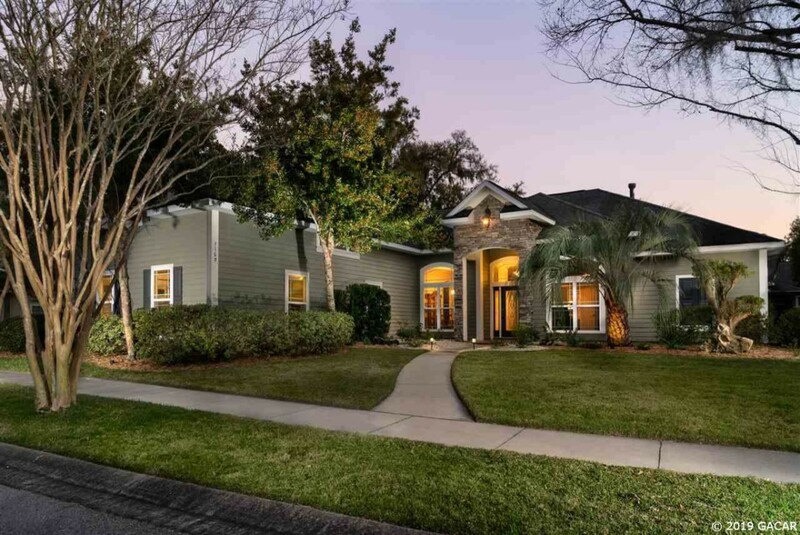 This property is subject to short sale.This stunning fresh 4 bedroom, 3 bath home is nestled in the walkable family-friendly yet luxurious community of Garison Way! The Florida sunlight pours through the large windows into the nearly 3000 Sq Ft of indoor living space. The formal dining room and an office are presented upon walking into the foyer. Walk through into the casual living space with a breakfast area and family room connecting to the resplendent contemporary kitchen filled with stainless steel appliances, gas stove and extra-long cabinetry.Not to be left behind, the master bedroom suite can lead to the home's screened-in porch, ample closet space, and an amazing bathroom with both a garden tub and separate standing shower. But, don't forget the welcoming 2nde floor in-law suite with bedroom, bath, and wet bar. The genial Garison Way Community has a community pool, oak lined sidewalks and is next door to both Kanapaha Veterans Park and Haile Plantation, while only a few miles for the University of Florida and Shands.